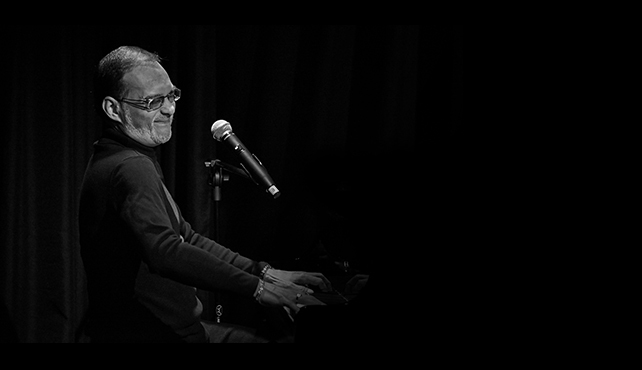 As a jazz pianist & vocalist, no Malaysian in the circuit holds a candle to David Gomes. And while very much an established name in the KL jazz scene, he has brought his hot & swinging brand of entertainment as far as Australia, Holland, UK, Germany, Thailand and neighboring Singapore. He has also per-formed in various local jazz festivals as well as a concert in Duren, Germany. As a producer and studio owner, he was behind various jingles for television and radio before he ventured into the album market, independently producing a Christmas jazz album titled It’s Christmas Time Again under his own label, Catalyst Records as well as “Here I Am”, Junji Delfino’s first internationally re- viewed solo album. As a musical director, David has painstakingly pushed the bar in made-for-theatre music showcases such as his much lauded presentation at Theatre Lounge Cafe, Crossing Borders, an intimate evening of classic jazz fused with classic Chinese music. Past productions include musical tributes to Ella Fitzgerald, Nat King Cole & Frank Sinatra featuring his 13-piece mini orchestra, including a Big Band Extravaganza for the Johor Arts Festival as well as numerous productions for the corporate & private sector. As a composer, he has created a wealth of world-class original music that have been performed at various festivals like The KL Jazz Festival at Istana Budaya, The HSBC String & Woodwind Festival and The Miri International Jazz Festival in East Malaysia. Amidst all the performing and traveling, David leaves no opportunity wasted for the local jazz industry by creating platforms for local musicians to perform in. He conceptualized Jazz on the 6th, a Happy Hour gig at KL’s premium mall, Pavilion. He was also instrumental in introducing live jazz music to Skypark, The Top Room, The Moon Bar and The Barn at One Mont Kiara. He is currently causing giant waves at Bangsar’s latest go-to for top-notch live entertainment, Bobo KL. His personal milestones include performing two years in a row at one of the world’s biggest music events, The North Sea Jazz Festival in Holland, singing in Singapore for Jeremy Monteiro’s Big Band Jazzy Christmas concert at The Esplanade alongside renowned American songstress, Carmen Bradford, and his most recent appearance at Akustika Music Festival at the Dewan Filharmonik Petronas, sharing the same stage with local with big names like Ning Baizura & Zainal Abidin. The future seems bright for sure for this hard-working man and the world can only wait to see where his music takes him next. Spend An Evening with David Gomes live at Motion Blue Jakarta on August 24th & 25th, 2018. Get ready to be entertained by Malaysia’s premier jazz pianist vocalist. Don’t miss it! Enjoy a free Welcome Drink with every ticket purchased. PURCHASE NOW at www.motionbluejakarta.com or RESERVE at reservation@motionbluejakarta.com . CALL +62-21-29039189 for more info.